Posted October 24, 2013, in News. 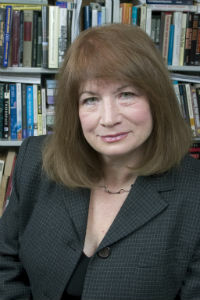 Hilary Silver is Professor of Sociology and Urban Studies and Professor of Public Policy at Brown University, and Editor of the journal, City & Community. Her research focuses on urban poverty, social exclusion, and discrimination, and analyzes social, employment, and housing policies in the US and Europe. She is currently editing a book, Comparing Cities (Routledge), on internationally comparative urban studies. Her 2009 film, Southside: The Fall and Rise of an Inner-City Neighborhood, will be followed by Last Resorts, currently in production, on long-term trajectories of the chronically homeless. Silver is also a Commissioner of the Providence Housing Authority. Her talk is based on “Mixing Policies: Expectations and Achievements” in Cityscape (2013) and “Obama’s Urban Policy” in City & Community (2010). Page last updated by CURE at 12:05 pm October 24, 2013 . This page was printed from http://cure.camden.rutgers.edu/2013/10/24/cure-seminar-hilary-silver-october-25-2013/ at 9:00 AM Saturday, April 20, 2019.